Resume Builder by Nobody allows you to write your resume without the need to format or design it. It enables you to focus on what matters most: the content. Pick from 25 carefully-designed resume templates, each with customizable colors, text size, line spacing, section spacing and margins. Type in plain text on the left and see a perfectly-formatted preview of your resume on the right. 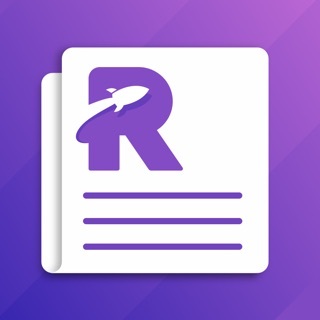 Preview your cover letter, resume and references in augmented reality. See what your job application would look like if it were printed. Subtle prompts help you fill in your content. The editor allows you to add as much or as little information as you want and formats the preview accordingly. No navigating back and forth to reach different sections of your resume. It is all right there, easily accessible and editable. In addition to editing your resume you can edit your cover letter and references. When you are done export your Cover Letter, Resume and/or References as a PDF. If you run iOS 11, you can take advantage of the new sytem-wide document browser and its iCloud Drive (or other cloud storage) capabilities. 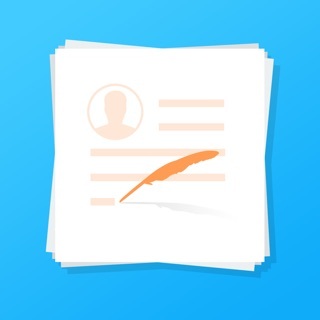 Start your resume on your iPad and continue editing it on your iPhone. This app works on iPhone & iPad. Price may vary by location. Subscriptions will be charged to your credit card through your iTunes account. Your subscription will automatically renew unless canceled at least 24 hours before the end of the current period. You will not be able to cancel the subscription once activated. Manage your subscriptions in Account Settings after purchase. Any unused portion of a free trial peri​od, if offered, will be forfeited when the user purchases a subscription, where applicable. - Fixed an issue that would cause a crash when upgrading on iPad in Portrait orientation. - Fixed an issue that caused the preview to reload twice after an orientation change on iPad. - Fixed an issue that caused a crash when trying to email without having email set up in the Settings app. Please consider writing a review. It would really help us out. We love improving this app and hope you enjoy using it! Wish there was a place to keep your reference on the same page and not have a separate page JUST for references. Also, wish you guys could add MORE templates to choose from, there’s a good selection, but would just like to see some more / better choices of templates. Overall great app and would definitely Recomended to try out and pay for the yearly subscription. tried at least seven other apps and platforms, but this one is by far the easiest to use and lenient with its formatting, so you can customize freely. you have to pay for more styles, but the default style that’s free isn’t that bad looking. good for students that haven’t gone to college just yet- all the other apps require you to have a college. Terrible. After updating I the app no longer listed my resume. I spent two hours creating a new one and tried to export it as a PDF to Google Drive. File would not open and when I returned to the app my resume was gone! Nowhere to be found, not even in the iOS 11 files app. Do not download if you value your time as this latest update does not save your work. Hi. I am very sorry you had a bad experience with our app. When updating to the version with the new iOS 11 Document Browser, your old resumes should be listed in On my iPad (or iPhone) > Resumes by Nobody. We realize this can be confusing when coming from our older version and will think of a way to improve that aspect. As to your file disappearing: When creating a new resume, the resume is stored in your default location (which can be changed in Settings). Are you certain the file is neither in "On my iPad" nor in iCloud (or another cloud storage provider)? A file simply disappearing after creating it seems unlikely. Please contact us at contact@nobodyapps.com and give us a chance to help you resolve this.